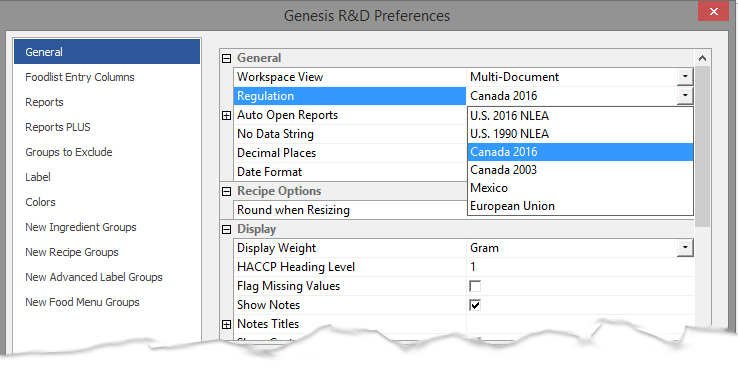 Genesis R&D Version 11.3 is a vital update for our Canada module users! This release incorporates the new Nutrition Facts table formats and nutrient changes for the Canadian Labels. To learn more about the new features in the Canadian Label module join us on Tuesday, March 28th for a free webinar, Examining Canada’s New NFt’s and Nutrient Definitions. 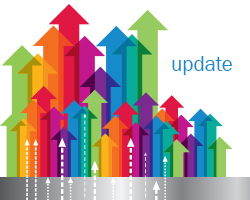 Additionally, this update includes several software enhancements to improve performance for everyone. These release notes detail all of the improvements and fixes. One of the updates most requested by users was the simplification of the country-specific options in Label Settings. Previously, all options for all countries’ regulations would appear, regardless of what country was selected. For example, if I selected Canada as my Regulation, I would still see the General, Format, Nutrient, and other options for any other country module (U.S., Mexico, EU) I had installed. Now you will only see the label settings that apply to the Regulation selected, which makes what you’re looking for much, much easier to find. The default regulation for the Canada label module is the old 2003 regulations. 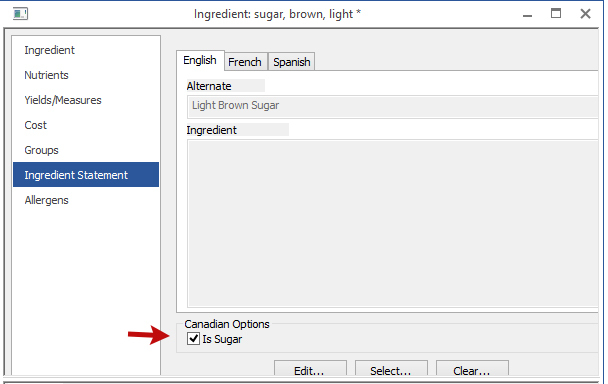 To create new Recipes and Labels using the new regulations, go to Preferences and navigate to the General tab, then Select “Canada 2016” under Regulation. 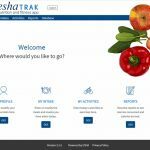 You can easily modify existing Recipe records to show new label formats by navigating to Edit Label and change the “Category” to Nutrition Facts (instead of Nutrition Facts 2003). Note: Both the preexisting and new label formats will be available in Genesis as we transition through effective and compliance date timelines. The format options will include the appropriate regulations for both. 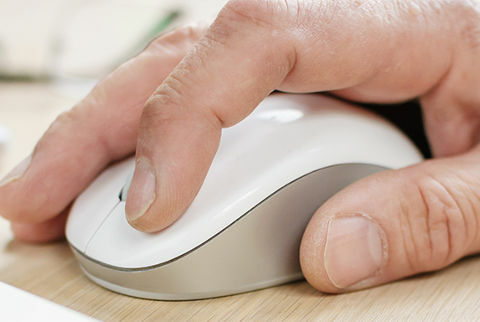 Be mindful with your labeling and remember, our Support team is on hand to help you out. 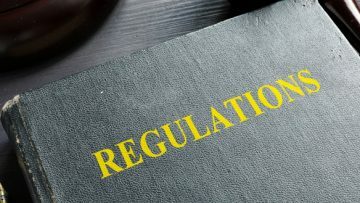 The new regulations require that sugar-based ingredients be grouped within the ingredient statement. These sugar-based ingredients are to be placed in brackets after the name ‘Sugars’ and listed in descending order by weight. As a result, we have added a new field in the Ingredient Statement section so that you can designate Sugar-Based ingredients as “Is Sugar.” Ingredients that are marked as “Is Sugar” will be grouped in the Sugar ingredient declaration in parentheses. You can mark Ingredients as “Is Sugar” on the Ingredient level and on the Recipe level within the Ingredient Statement section. 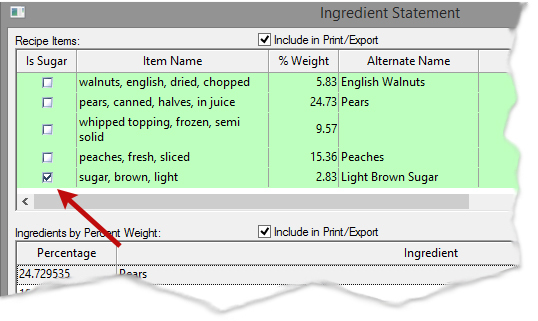 Ingredients: When entering or editing an Ingredient, navigate to the Ingredient Statement tab and select Is Sugar. Recipes: When editing a Recipe’s Ingredient Statement you will have the option to check “Is Sugar” next to each Ingredient in your Recipe. Vitamin A has gone from a Core (Mandatory) Nutrient to a Voluntary nutrient on the Canadian Nutrition Facts table. Additionally, the unit of measurement and DV changed from 1000 RE to 900 mcg RAE. 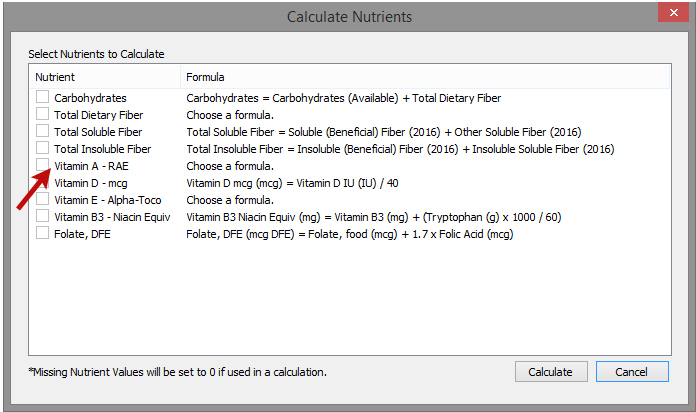 To assist with the nutrient conversion, we have added Vitamin A RAE to the Nutrient Calculator. 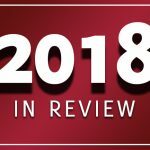 To learn how to use the Nutrient Calculator check out our Nutrient Unit Conversions blog post or watch this recorded webinar on Converting Nutrient Units for the New 2016 Nutrition Facts Label.